It’s nearly Valentine’s Day, which means it’s time for you to start shopping for vegan Valentines chocolate. So your partner did Veganuary…and stuck with it. Make vegan Valentines special! Buying Vegan Valentine’s Day gifts can be stressful especially if your Valentine has just gone vegan, but it shouldn’t be. That’s why I put together this list of the best vegan Valentine’s Day chocolate. 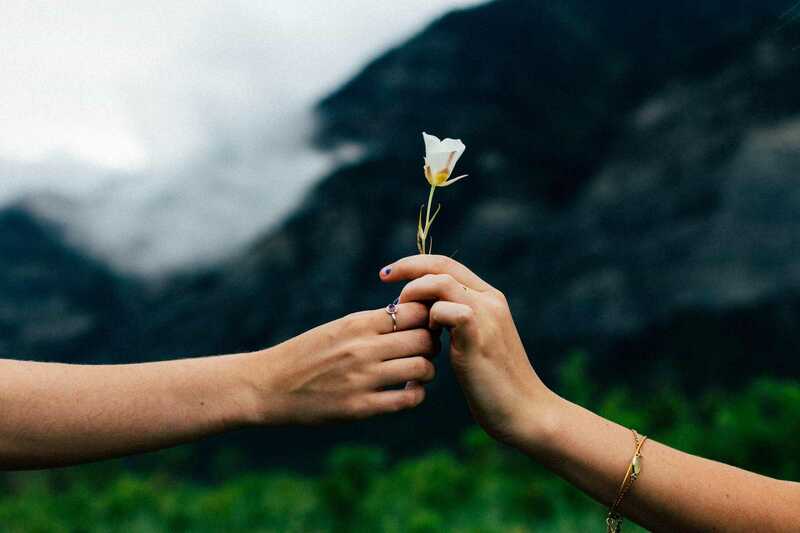 Plus, I’ve listed 16 of the best vegan Valentine’s Day gifts to take the stress out of your Valentine’s Day shopping, and some ground rules for your shopping. 1. What shouldn’t you give a vegan for Valentine’s Day? What Shouldn’t You Give a Vegan for Valentine’s Day? Buying Vegan Valentine’s Day treats shouldn’t be complicated, but it can be. Especially if you love a vegan but don’t know what to get them or even what is and isn’t vegan. Getting vegan Valentine’s Day gifts can be fraught because so many seemingly innocuous products aren’t vegan — like that shower gel you always used to buy Anton before he went vegan, or the sweater you found that would be perfect for Susie, except it contains silk. 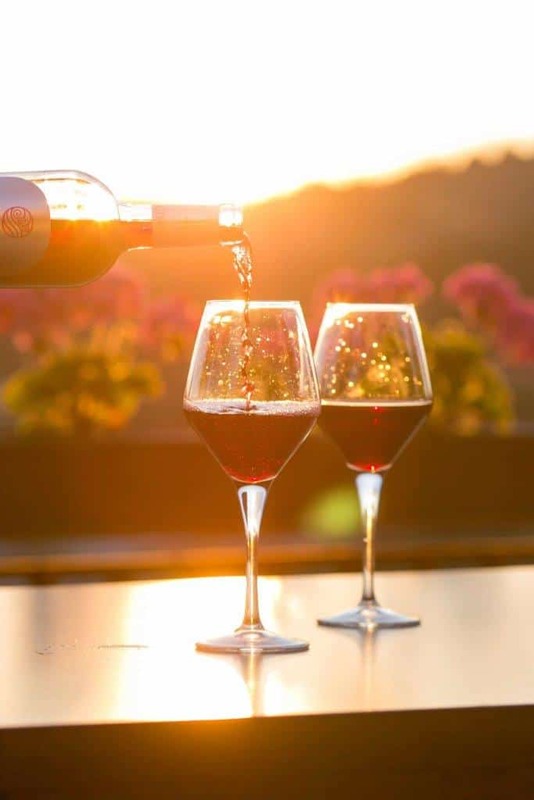 Non-vegan wine, champagne, beer or cider – that’s right, some alcohols aren’t vegan as some brands are filtered through egg whites or fishbladder. Find out which ones are vegan on Barnivore. What to give a vegan then? Don’t fear just because you might be confused about what vegan Valentine’s Day gifts to choose. 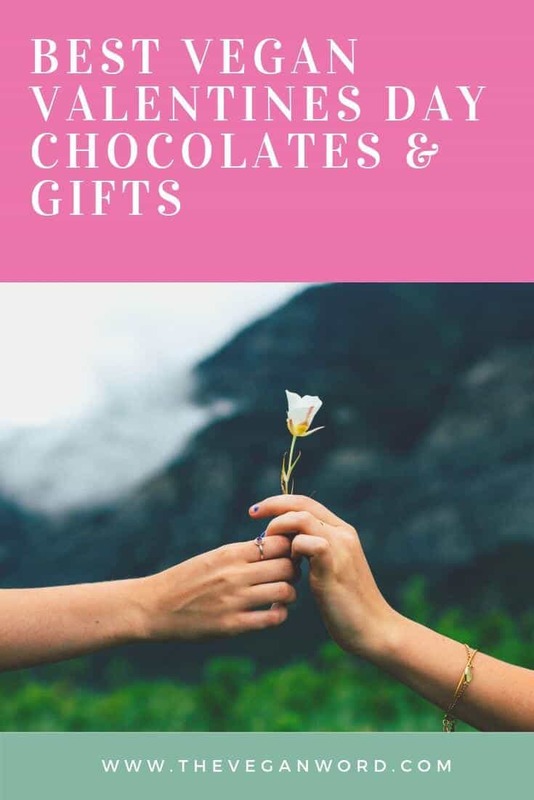 Looking for vegan Valentines ideas or to gift your valentine vegan chocolate? I’m here to make your life easier! Here are some of the best vegan Valentines candy, plus ideas for presents. If you’re a vegan and want to make sure you get a vegan gift this year, just forward this list of vegan chocolate treats and gifts to your partner! 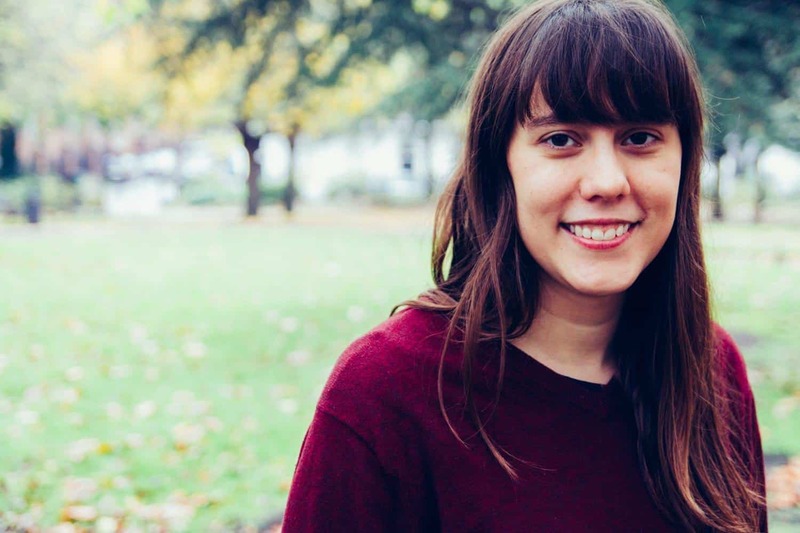 And Cadry’s got you covered on how to deal if you do end up receiving a non-vegan gift. These vegan chocolate gift baskets are the perfect vegan Valentines treats! From the vegan box experts at Vegan Cuts, this vegan selection box is full of 16 different kinds of vegan friendly chocolate. This vegan chocolate hamper includes chocolates, cookies and more vegan Valentine treats, and ships free in the US. 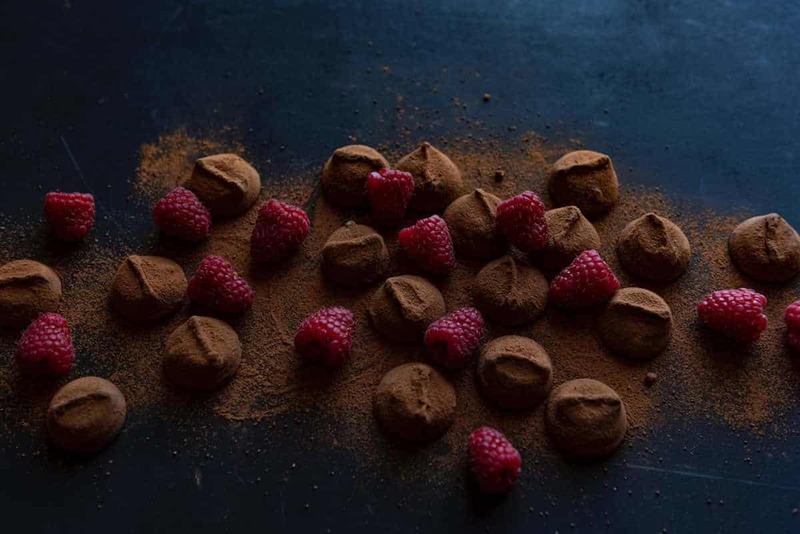 Vegan chocolate delivery to your house? Count me in! 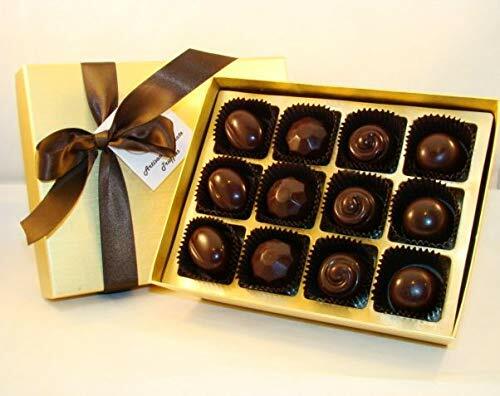 Chocolate truffles: classic Valentine’s Day gift. 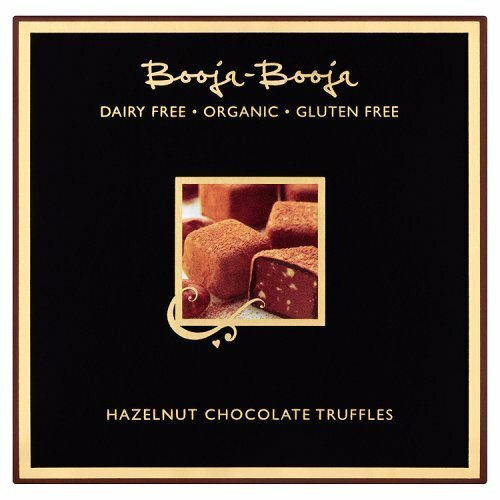 For a vegan version, go for the best: Booja Booja hazelnut truffles. This vegan candy box is the best vegan chocolate gift set. Booja Booja come in a few different flavours but the ones I love most (and the ones most people seem to like the most!) are the hazelnut truffles. The best vegan chocolate. Amazon stocks them, too! Click here to see the latest prices. These are so delicious. It isn’t Valentines Day without vegan Valentine candy. 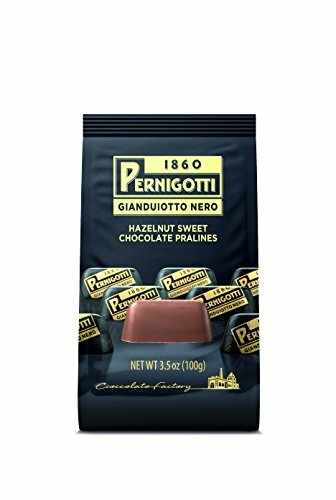 Since 1860, the Italian company Pernigotti has been making these delicious pralines and other chocolates. Many of their dark chocolates are vegan (you can check ingredients on their site). Gianduiotti are a type of Italian chocolate from the Piedmont region in northern Italy made of a paste of sugar, cocoa and hazelnut (think Nutella in solid chocolate form). You can’t get more historical vegan Valentines Day candy than this! Click here to check the latest prices. You can’t go wrong with a vegan Valentine chocolate like this vegan chocolate box. 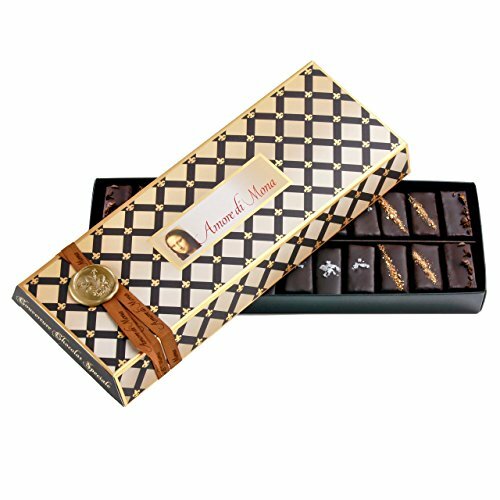 I haven’t tried this gourmet vegan chocolate box yet, but it looks great and comes with four flavours: creamy hazelnut, berry, dark espresso and chili mango. The perfect vegan chocolate Valentines gift. Click here to see the latest prices. Everything Cocomels makes is amazing, so these are the perfect vegan Valentines chocolate. 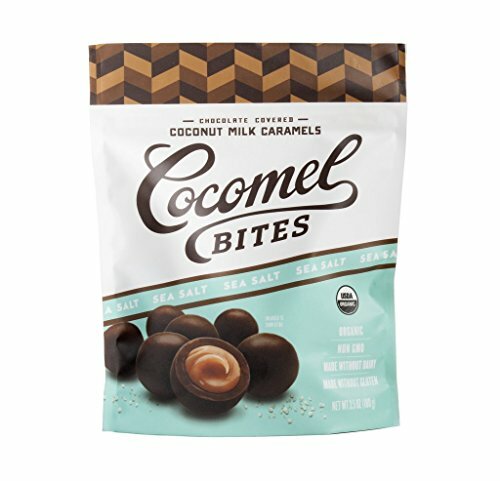 Their caramels are made with coconut and are the best, so cover them in chocolate and it’s even better. If you’ve been scouring Amazon for vegan chocolate for vegan Valentines candy, look no further. Click here to check the latest prices. For the fans of valentines dark chocolate, these artisan chocolates look perfect, with 80% cocoa content. The perfect vegan treats Valentines box. Get a vegan Valentines card and one of these dark chocolate valentines gifts and you’re set. Be sure to select the vegan / dairy free box of chocolates as the company also makes non-vegan chocolates. Click here to check the latest prices. Looking for dairy free Valentines chocolates? iChoc make my favourite vegan chocolate bars (of the non-dark chocolate variety)! Many people say you can’t even tell they’re vegan; surely they’re the best vegan chocolate gifts. My favourite is the white chocolate nougat crisp, which to me tastes like a white chocolate Ferraro Rocher. Vegan hampers of chocolate make the best gift. 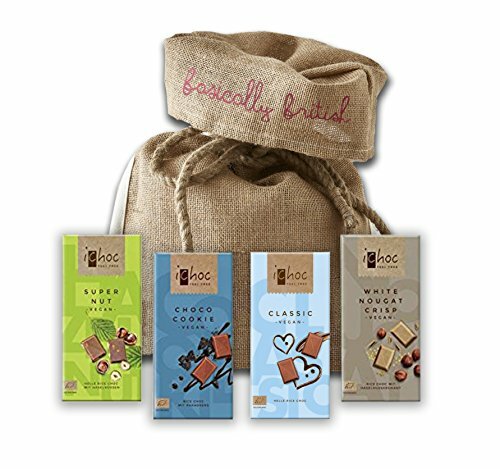 This selection of iChoc bars comes with four flavours. Click here to see the latest prices. Want to give a non-food gift (in addition to or instead of chocolates)? Here are the best vegan Valentine’s gifts! Give the gift of vegan cooking classes! Know that your Valentine wants to improve their cooking skills this year? They’ll learn how to whip up the best vegan recipes in Brownble’s online vegan cooking classes. 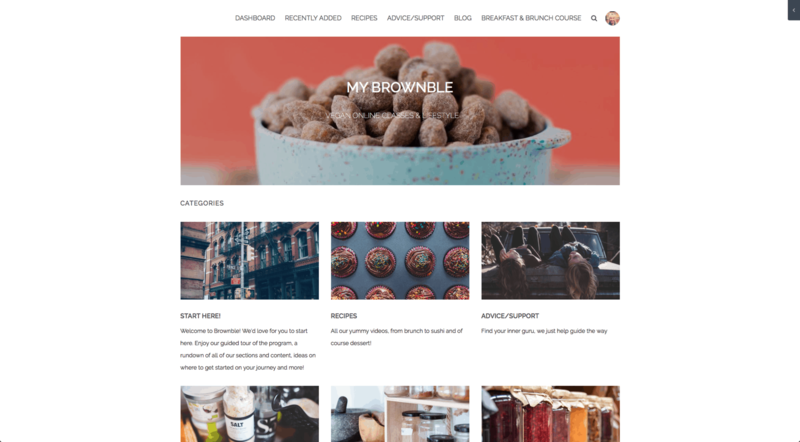 Kim of Brownble is an amazing teacher, and this course covers everything you could ever need to know, from vegan recipes (with new videos added weekly!) to how to organise your pantry and meal prep. It’s all done online, meaning it can be done from anywhere–and if you’re buying this last minute, no worries. You can even buy it on Valentine’s Day; you’ll get the confirmation email immediately so last-minute gift stress is a thing of the past! Get 25% off with the code “VALENTINES19”. Click here for more information on the Brownble vegan cooking classes. Another classic gift for your vegan valentine. 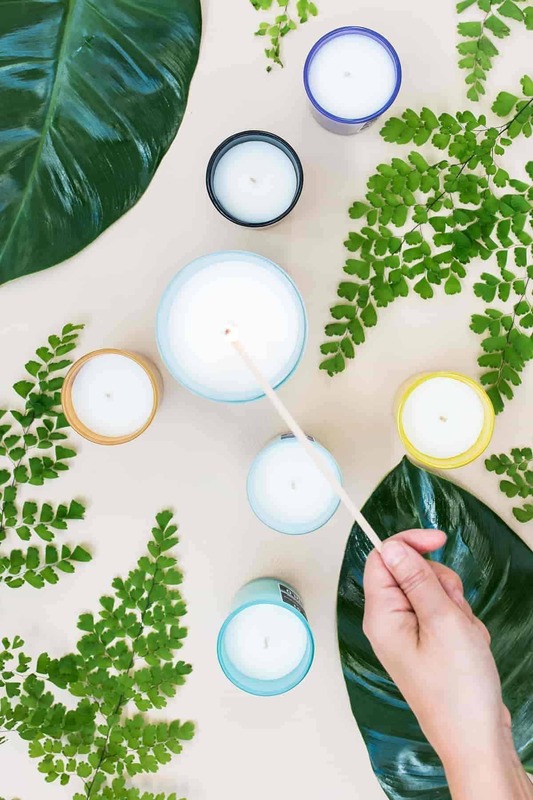 Not all candles are vegan (some are made with beeswax), but if you choose a soy wax candle like this hand-poured candle, you’re choosing a 100% vegan and eco-friendly candle! Most candles you buy in shops are paraffin (and some contain lead wicks) and made with artificial fragrances and there are concerns about its effects on health and the environment. Soy candles are thought to be more eco-friendly and safer, plus they don’t leave black marks on the walls (that’s from paraffin soot). I love buying handmade candles on Etsy. These organic soy candles come with cotton wicks and you can choose the fragrance you want–they make perfect vegan Valentines day gifts. Click here to see the latest prices. 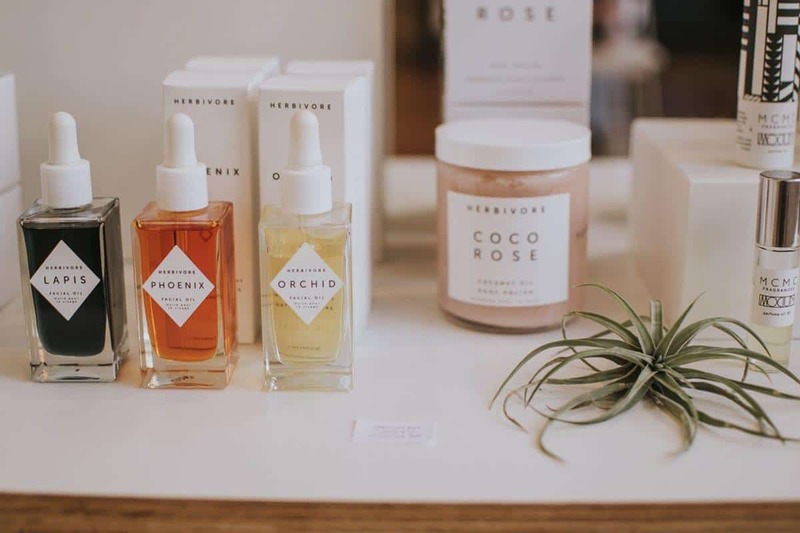 This vegan skincare gift set is organic, artisan-made and smells of rose, vanilla lavender, which is relaxing and luxurious. It’s available on Etsy and comes with a body scrub, bath soak, body butter and roller oil, so your vegan god or goddess can pamper themselves. Spa sets make perfect vegan Valentines Day treats. Click here to check the latest prices. Treat your vegan Valentine to a spa day. 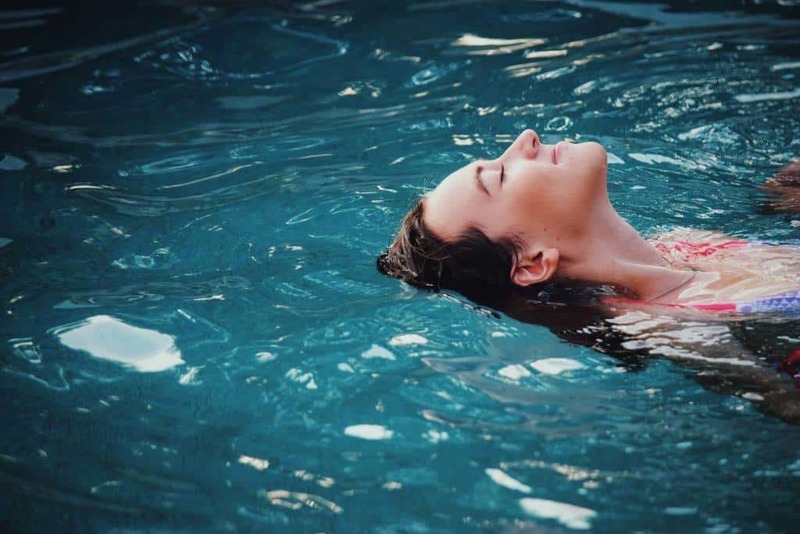 Call local spas or beauty salons that offer massages/other pampering treatments and ask what products they use and if they can use vegan and cruelty-free products only. Many spas now use vegan-friendly lines so it’s worth asking about it. Can’t afford to send your sweetheart away on a spa day? Make your own spa at home! 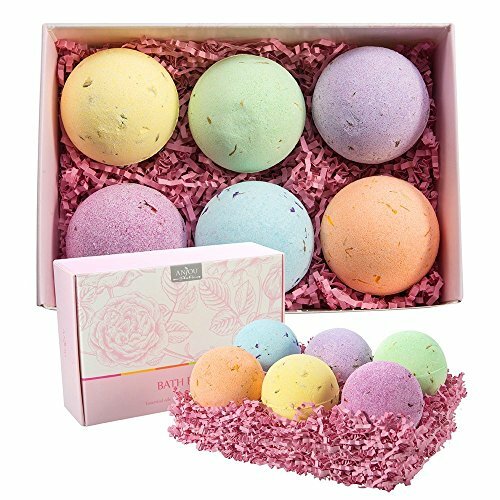 Bath bombs are perfect for a fun and relaxing bath. Combine with the goddess spa set (above) for the ultimate relaxing night in. Click here to check the latest prices. A necklace is a classic Valentine’s Day gift. The vegan version? This recycled silver heart necklace. A great Valentine’s gift. Click here to check the latest prices. Another classic vegan Valentine’s Day gift: perfume. Some perfumes are tested on animals, or contain animal-derived ingredients, but all of Pacifica’s products are vegan. 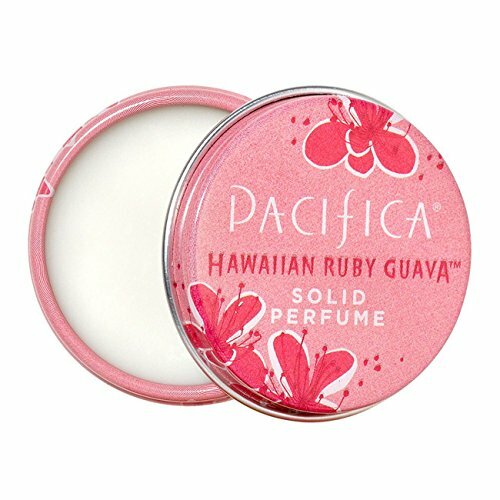 I recommend solid perfume because it’s so easy to transport; toss it in your bag without worrying about it spilling! Click here to check the latest prices. I don’t have any personal experience of aftershave, but I’ve heard good things about Pacific Shaving Company’s shaving products. 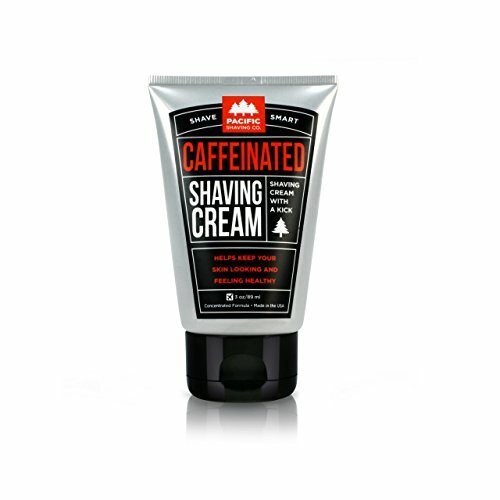 This shaving cream (they also sell a matching aftershave) is paraben-free and has been featured in USA Today and Men’s Health. Click here to check the latest prices. Yes, wine really does taste different out of thesecrystal wine glasses, and if your Valentine is a wine buff, they’ll love this. Don’t forget to get them some vegan wine to go in the glasses! Click here to check the latest prices. If you want to gift an experience, rather than thing, treat your loved one to the vegan trip of a lifetime. 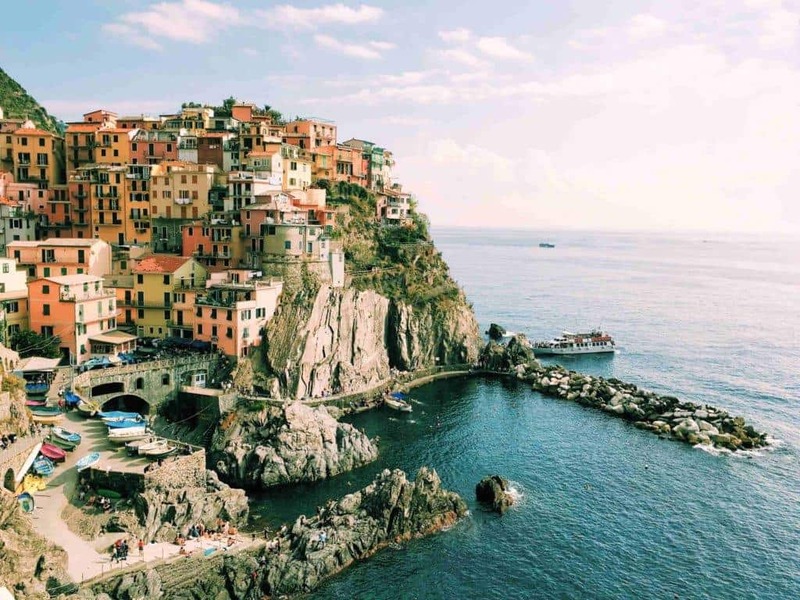 What’s more romantic than a trip to Italy? 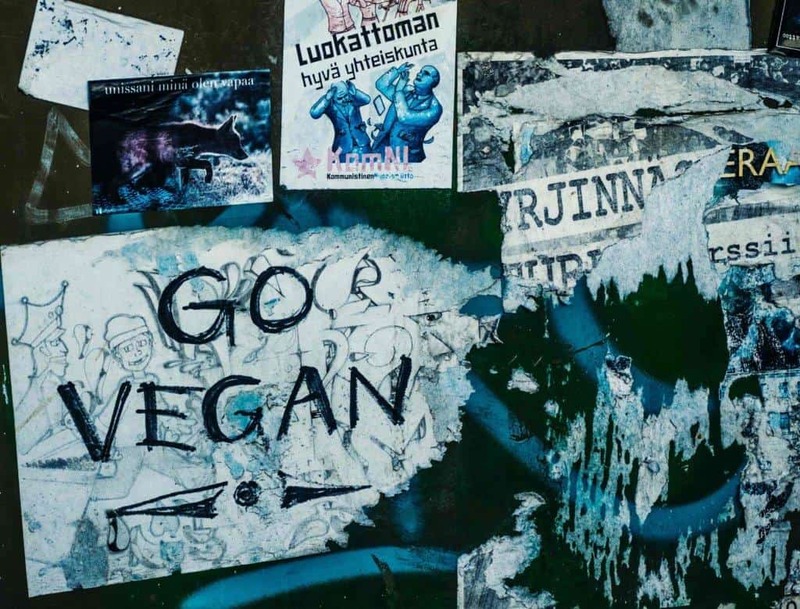 Vegan Travel Club organise completely vegan trips and vegan celebs go on some trips so you might just rub shoulders with the vegan cheese queen, Miyoko Schinner of Artisan Vegan Cheese (and eat some of her delicious cheeses!). Yum. Buy spots on a vegan tour here. This beautiful limited edition rose gold watch has a vegan leather strap. 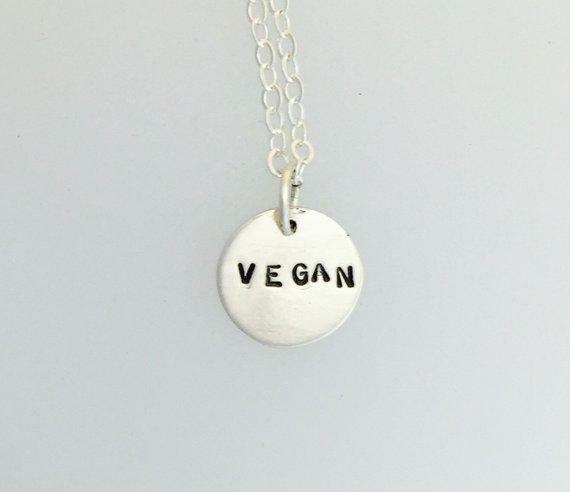 I’ve been coveting it for awhile, as have a lot of other vegans. Your vegan will love you for this watch. The company is based in the UK, but offers free worldwide shipping Click here to check the latest prices. Vegan Valentine’s Day gifts don’t have to be expensive. Show your Valentine how much you care by making him or her a gourmet-level vegan dinner. Grab yourself a copy of the vegan Bible (aka Veganomicon, the ultimate vegan cookbook), pick a recipe, light some vegan candles and serve it up with some vegan wine. Get your cookbook/cheat sheet here to learn vegan recipes to knock the wool-free socks off your vegan loved one. Click here to see the latest prices on the Veganomicon cookbook. It’s pretty easy these days to find vegan makeup; even a lot of drugstore brands have gone vegan or mostly vegan! 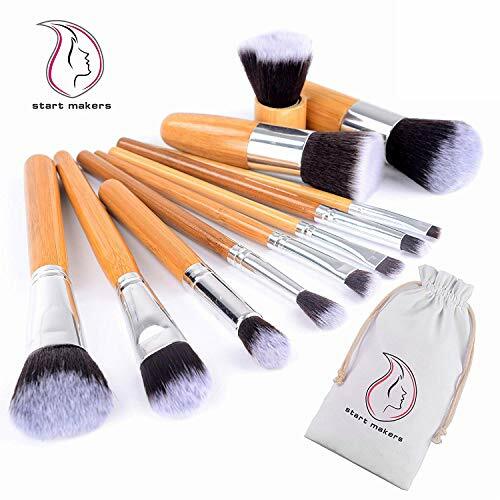 However, finding animal hair-free, vegan makeup brushes is still tricky. This vegan makeup gift set is sure to please. Surprise your Valentine with this eco-friendly, vegan bamboo makeup brush set. Click here to see the latest prices. Treat your bearded vegan to this vegan beard oil and brush set. It’s the best Valentine gift for the hairy vegan in your life. 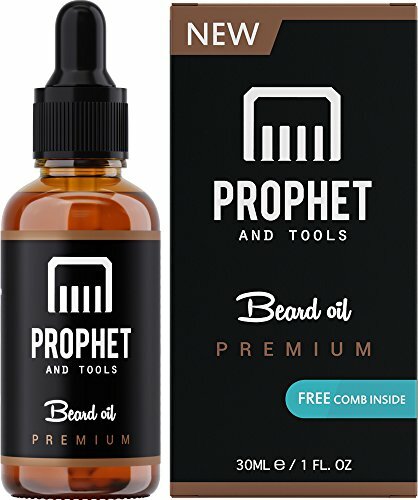 It softens, shines and helps beard grow. Click here to check the latest prices. 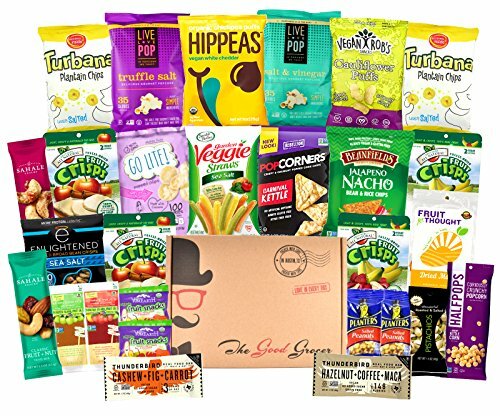 Nothing’s better than vegan gift baskets and this snack box is one of the best vegan gift baskets. The perfect Valentines gift. Click here to check the latest prices. The best Valentine’s gift of them all? If you’re not vegan…go vegan yourself (or try it for a month). If you think you need help, ask your vegan loved one. But if you prefer your advice and tips dispensed in book form, grab a copy of the 30 Day Vegan Challenge. Need more inspiration? I’ve got the biggest vegan gift guide EVER, with nearly 200 gift ideas, plus some special discounts. Find it here. Finished all your Valentine’s chocolates and ready for the next chocolate holiday? Get a head start on Easter with these vegan chocolate Easter eggs. Please note, this post contains affiliate links for some products. This means that I’ll receive a small percentage of the sale, at no extra cost to you. I’ve only recommended products that I use and love or would love to receive.